As in Romeo and Juliet this Lioness has no way to get united with her Romeo. As one can see in the video the young female is in esterous and is keen to mate, but the fences between two game reserve prevent the males from getting to here (the roars in the background are from the males on the neighboring reserve). 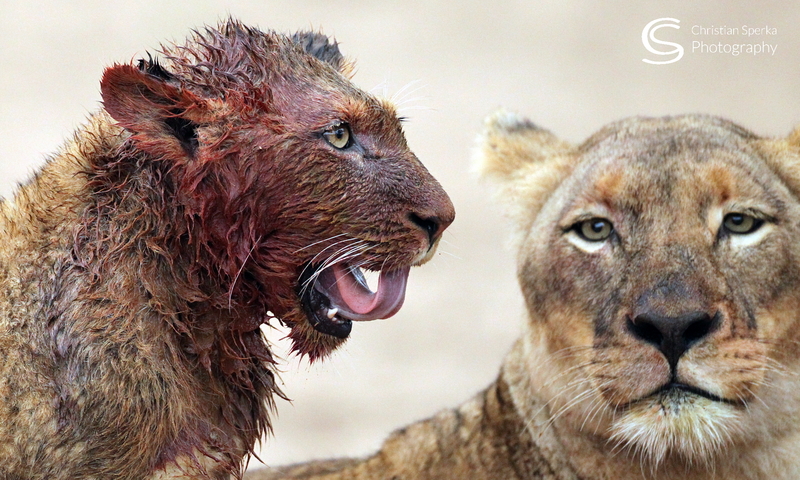 The lady is obviously not interested in the perfectly good dominant male on her side of the reserve. The grass seems always greener on the other side of the fence. Enjoy the video and your week! Typical woman, a nice video!